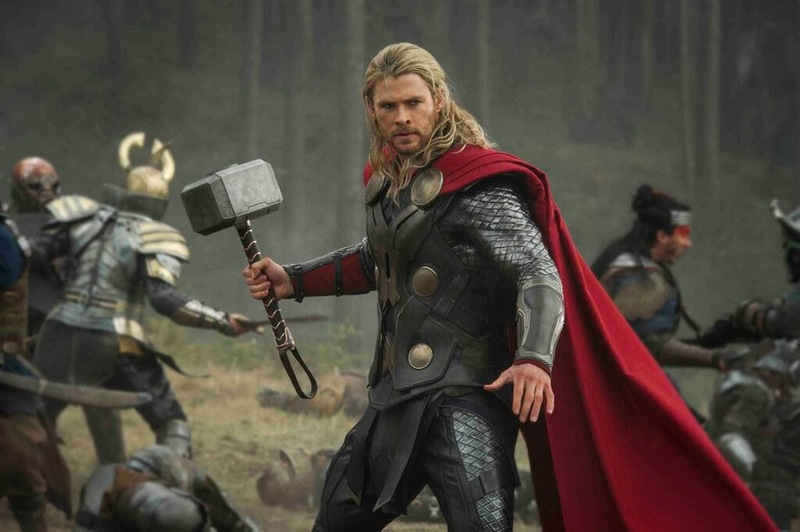 Back in 2011 we reviewed the first instalment of Thor and were impressed by just about every element however in hindsight, it lacked a sense of scale that could be expected of a film based around gods and monsters. In Thor: The Dark World, those concerns are smashed to pieces. Bor, father of Hannibal Lecter, grandfather of Captain Kirk's dad, was responsible for vanquishing the Dark Elves from the Nine Realms. 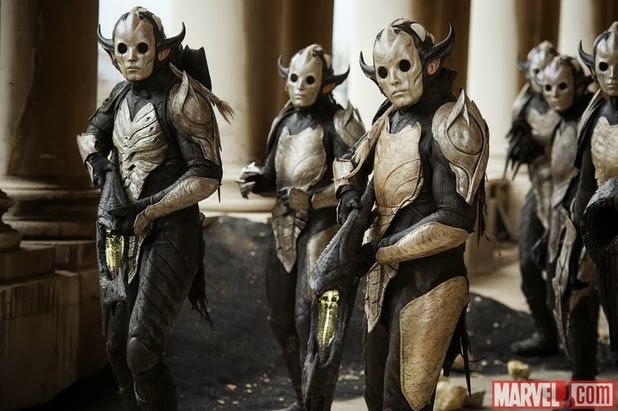 Lead by the nefarious Malekith, a crackhead version of Legolas, the Dark Elves return in search of the ancient and destructive force, Aether. Then stuff with a hammer and lots of punching and Queen Amidala happens. Realistically, you don't need to know the plot. All you need to know is that Thor and the rest of Asgard face off against an ancient evil, the film builds upon the events of The Avengers and is all sorts of awesome. 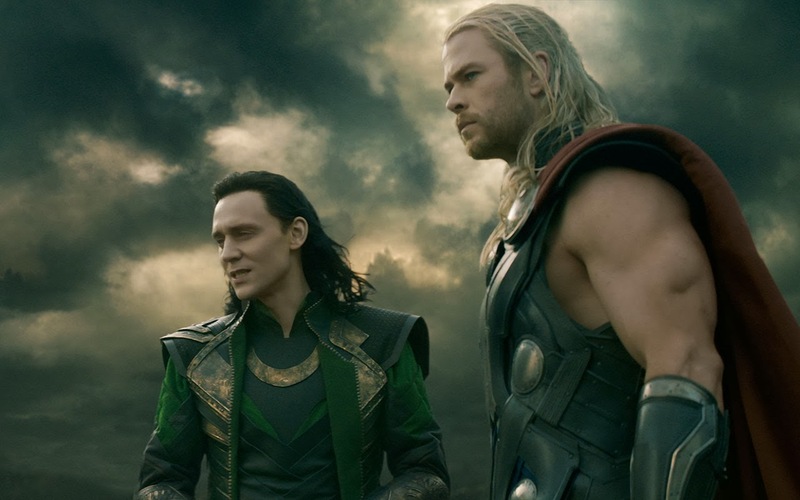 Grander in scale than its forebear, Thor: The Dark World delivers a mix of bastardised Norse mythology, science fiction and comic book superhero action in one tidy, albeit unevenly paced film. My first thought was "damn, this is awesome" immediately followed by "I now have no concerns for Star Wars". Sweeping aerial shots of Asgard highlight the scale of the land of gods, it's grandeur and design. Director Alan Taylor has brought to the screen a vision of Asgard that's equal parts Star Trek and Lord of the Rings which is more in line with the current age comic books than all out fantasy. The production design is pitch perfect. The blank, lifeless faces of the Dark Elves proved to be a much more foreboding presence than expected. The general aesthetic of the film is similar to the original with costumes reminiscent of the designs of Olivier Coipel. Gone is EVERYONE'S headwear, including Thor's winged helm and Loki's horns of naughtiness, while Game of Thrones chic seems to be in. Animal fur trimmed garments adorn Lady Sif, Frigga and the Warriors Three's costumes. The latter of which seriously need their own film. The real hero of this film is in fact a villain. Loki, a fan favourite and for good reason, absolutely shines throughout and this is in no small part due to Tom Hiddleston's brilliant performance. The maniacal lord of lies and trickery is incredibly endearing and deserves his place alongside Agent Coulson as a Marvel Studios favourite. The playful interaction between Hiddleston and Hemsworth is infectious yet always manages to highlight an undercurrent of deceit and resentment. Loki is, and always will be, envious of his brothers position as the next ruler of Asgard and it's hard to imagine anyone but Hiddleston delivering such a broad gamut of emotion. Sir Anthony Hopkin's is believable as an ageing deity but is no where near as awe inspiring as you'd expect the All-Father to be. Hemsworth is a behemoth, perfectly embodying the physical prowess of Odinson while also delivering a comic sensibility that will see him successful in the broader Hollywood industry. In terms of comedic timing, Kat Denning is funnier in this film than every episode of Two Broke Girls combined. 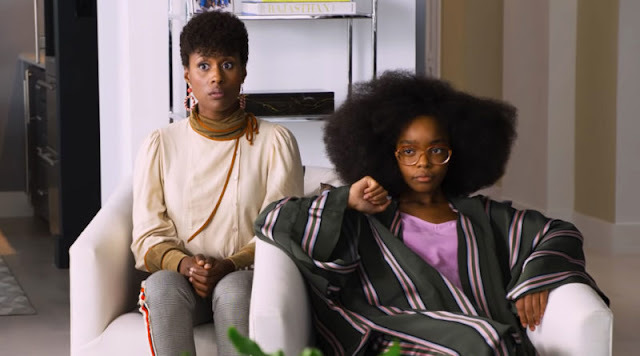 While she maintains a similar persona to the woeful sitcom, she brings light to the film, particularly in its plot heavy first hour. Natalie Portman is in this film. Screening in both 3D and regular D, the 3D doesn't detract from the film, but in no way adds to it. Given the amount of scale and movement throughout, it's disappointing that the 3D was so flat. 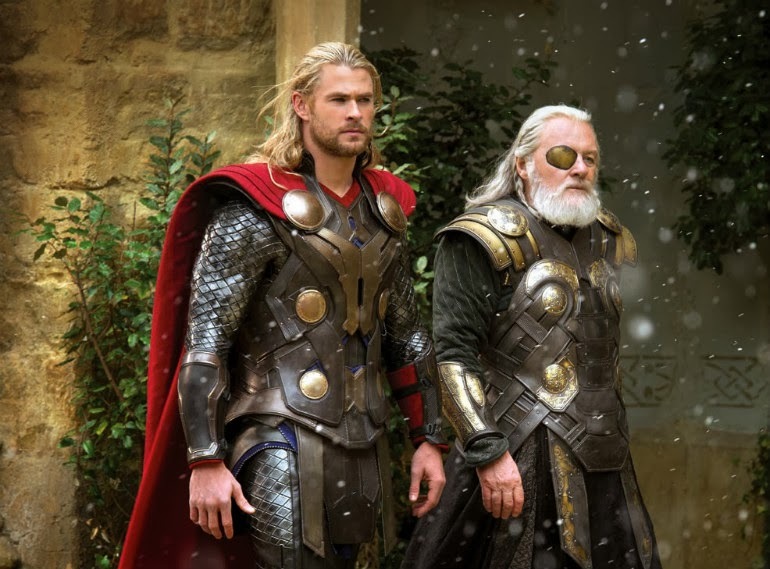 Regardless, Thor: The Dark World is a fantastic experience which demands to be seen on the big screen. Full of action, laughs and a glimpse into Asgardian family dynamics, this is yet another triumph for Marvel Studios. As always, make sure you stay until after the credits for a special little something. Thor: The Dark World is in cinemas now.